Subscription boxes have taken the eCommerce world by storm, and for good reason. From a consumer’s perspective, boxes like Birchbox and Dollar Shave Club are an easy, fun way to discover new products or replenish everyday goods. And from a seller’s perspective, subscription boxes’ recurring revenue model means a steady income stream for new or existing businesses. The best part? Running a subscription box business can easily be done from home, and is a fantastic way to generate recurring revenue. Plus, the earning potential is huge: running a subscription box can easily become a full-time gig as your box scales. To make it easy for you, check out this step-by-step guide that will walk you through how to start your own subscription box from home — all for little money upfront. 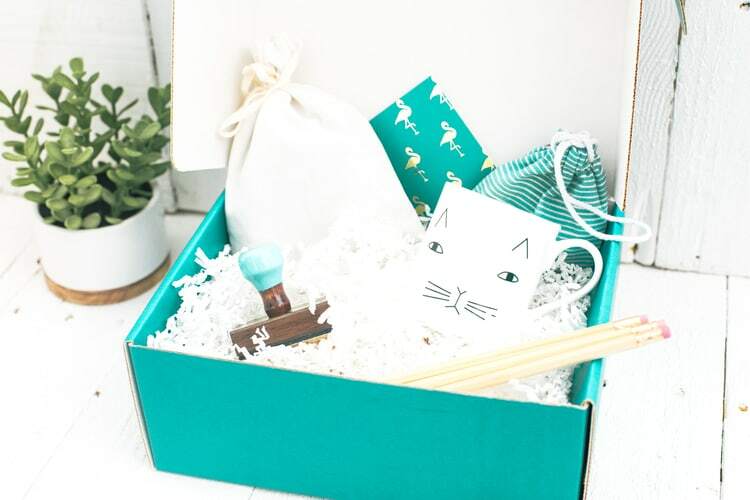 If you’re looking for ideas for your box, check out Cratejoy’s subscription box marketplace for inspiration, where you can find thousands of boxes within every niche imaginable (seriously, there’s a box for everyone). Any eCommerce endeavor requires research, and starting a subscription box is no exception. Once you come up with an idea, make sure that you then validate your subscription box business idea, determine your niche + target customers, and analyze your competitors thoroughly. Determining your niche + target customers is twofold: first, figure out exactly what kind of products you want to be selling and what specific category they fall into. The more specific, the better: think categories like “vegan beauty” or “Korean beauty” vs. just “beauty”. Again, this step can be done right from the comfort from your own living room armed with just a laptop. When it comes to researching your competitors, make sure you know who you’re up against and that you’re bringing something different to the table. Know your competitors’ pricing and what they’re offering. And remember, competition is healthy and good for your business! Next, you should start thinking about pricing your box. With pricing, aim for at least a 40% profit margin to ensure viability. Pricing is a lot like Goldilocks and the Three Bears: price your box too low and you’ll lose money. Price it too high, and you won’t make enough sales to sustain your business. While it’s still early in your subscription box journey, you should now be thinking about which platform you want to use to launch your box. 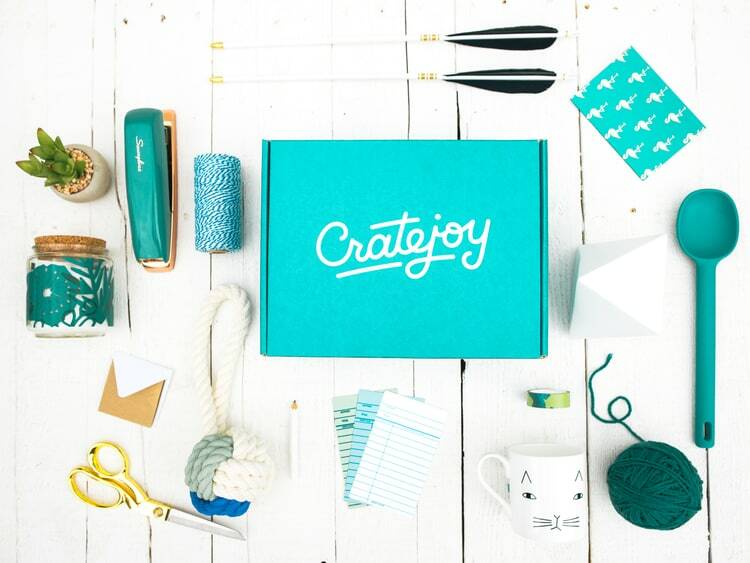 For the easiest, no-nonsense way to start, Cratejoy is an all-in-one subscription box solution that provides you all the tools and resources you need to start your own subscription box from home. It’s now time to think about your box and its contents while you put together a prototype box (aka an example box – the contents don’t have to be exactly what you end up launching with, but something similar). This is where you’ll get to have complete creative freedom over your box. Again, researching all your options is crucial to your success. You’ll be in charge of your branding, box design, and getting all the products for your box (aka sourcing), but Cratejoy’s got you covered with blog guides + educational resources that give you tips on how to build a successful box right from home. As you’re creating your prototype box, be sure to take good photos of your box offering. Quality, clear photos of your box + its contents will make people more inclined to purchase. Achieving quality photos at home is totally possible without hiring a professional photographer — all you need is good lighting, a smartphone, and a complementary background or landscape. A lot of Cratejoy merchants use their own patios, backyards, and even well-lit kitchen areas! At this point, it’s time to sign up for a 14-day free trial on Cratejoy so you can create your custom website and Marketplace listing! 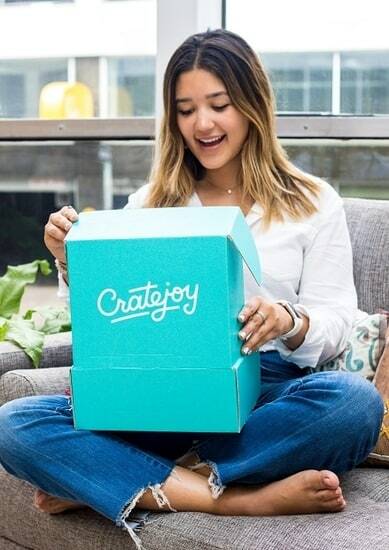 Cratejoy’s Marketplace is a unique sales channel that allows you to get exposure and generate sales from subscription box enthusiasts. Plus, by listing on Marketplace, you’re automatically considered for all of Cratejoy’s marketing/PR efforts. Merchants have been included Buzzfeed, InStyle, and POPSUGAR placements, among many others! Ah yes, prelaunch … the final stretch of your subscription box! Prelaunch is essentially the period of time where you create hype, collect emails, and build your social following before you actually “go live” or launch your box (which means you absolutely need to do this step). During your box’s prelaunch period, you should be setting up email campaigns and generating buzz on social media platforms like Facebook and Instagram. After completing these steps, you’ll be ready to launch your subscription box with Cratejoy and start taking orders. Designate a space in your home to pack your boxes in — a spare bedroom, kitchen table, or living room work just fine and are where almost all Cratejoy merchants start. Let Cratejoy take of the hard parts of your business: for $39/month on Cratejoy, you’ll get access to a dedicated Customer Success Manager, your own built-for-subscription website (no HTML/CSS experience necessary), customer management tools, subscription analytics, and much more. Remember, no matter if you’re just testing entrepreneurial waters or are a seasoned business owner, starting a subscription box from home requires you to do thorough preliminary setup + research every step of the way.